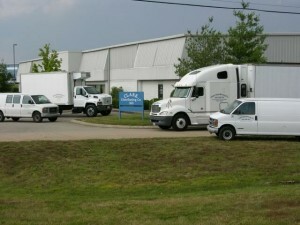 Clark Distributing Company began in 1976 as a supplier of various products to grocery stores in the middle Tennessee area. It was owned by one proprietor and operated out of a home garage. Over the years the demand for vegetarian foods increased, making it necessary to carry a wider variety of products. We now represent over 40 manufacturers. As the product line grew, the space needed to warehouse the products increased as well. When the company began, we used several chest-type freezers. Over the years, the demand for frozen products has increased dramatically. We now have over 2,100 square feet of freezer and refrigeration space. We also have plenty of warehouse space for canned, bottled and dehydrated items. Clark Distributing Co. has outgrown three warehouses and is now located in a 20,000 square foot facility in Hendersonville, Tennessee. The company is owned and operated by two partners with eight additional employees. We are a wholesale vegetarian food distributor offering a full line of delicious products. Our trucks deliver to grocery and health food stores, churches, schools, colleges, universities, hospitals, nursing homes, and Adventist Book Centers in seven states. We also ship selected products throughout the United States.